Season Three of Blindspot had raised the bar! Here's a recap! From the season two finale, we jump into flashbacks of Jane and Weller's wedding; We see in the present of Weller looking for Jane. The FBI asks for Weller's help and as he rejoins the FBI to find Jane. Weller learns that Reade is in charge. And Zapata, who's working for the CIA, who comes to help. As Weller fines Jane and takes on bounty hunters; in the classic taken down fashion as they do. Then new tattoos appeared on Jane's body. Roman wants them to solve them. It becomes a real cat and mouse brother-sister style with the tattoos that leads to many, many shocking twists and turns with two of the main ones: 1. Looking for Crawford and 2. Jane has/has a daughter. Let's start with Crawford as he's one of the powerful businessmen in the world. Roman does his thing by portraying someone in his security and gets in a love interest with Crawford's daughter, Blake. There was a much bigger reason why Roman wants Jane and Weller to take down Crawford. As Roman gains Crawford's trust and tries to get Jane, Weller and the FBI to take him down. What Weller and the team didn't know was that their FBI Director Hirst is working for Crawford on the inside to stop the investigation. She tries to get Reade to drop some of the cases and even threaten him to do the task. The second thing was that Jane has a daughter. Roman isn't the only one who knows about Jane's daughter. Weller knows too. He confronts Jane about his encounter with her. And when they were checking out suspicious activity, she got caught in the crossfire from Weller's gun. Jane didn't take that too well and walked away from him. Soon, they found Jane's daughter, Avery. And after they rescued her; it wasn't the warmest reunion to see. But the two grew closer and even adding Weller to the mix things were all good. They also tried to work together going against Crawford. The team goes after Crawford Jane kill him. Jane hunts down Roman, who dies as she gets there just in time to say goodbye. Soon, Jane, who's been suffering from the side-effects from the memory drug, is hospitalized but when she wakes up, she's not the Jane we all knew as Remi is back. Season 3 of Blindspot was one of the best seasons so far. The character development was so strong and even the writing so as amazing the previous season. There were so many moments, Reade and Zapata opening up their feelings for one another, Patterson and Dot Com working together, even Patterson's Groundhog Day episode "Everlasting." David Morse was the perfect choice to play Crawford, as he can play a guy with such a dark side. Overall, I give the season an 8.9/10. I literally can't wait for the new season to start tonight. Remi is back, and now I'm guessing we're going to see the real her now. 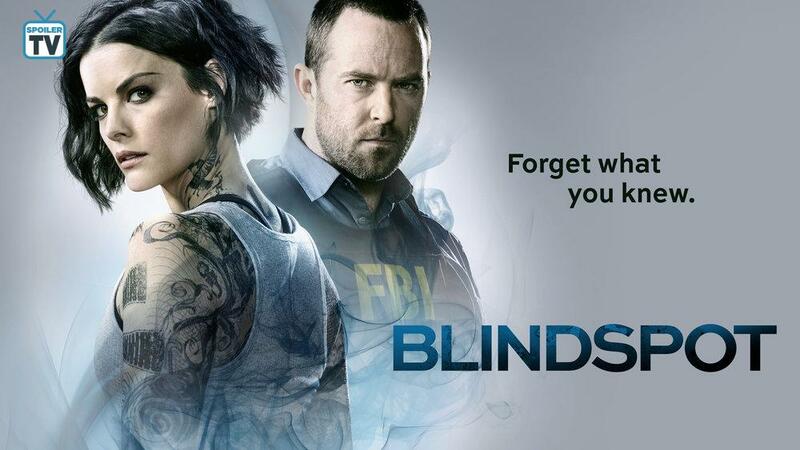 You can catch the season premiere of Blindspot tonight at 8/7c on NBC.